"Rocksteady is leading our team of developers and partners as we work on the PC performance issues that players have been encountering. The work is significant and while we are making good progress on improving performance, it will take some time to ensure that we get the right fixes in place." An initial patch for Batman: Arkham Knight is now available on Steam. It addresses some of the game's minor faults, such as fixing a bug which disabled rain effects and ambient occlusion, as well as correcting some issues that caused the game to crash. To clarify: PC is top priority for engine team but there'll still be updates for consoles too. Not all issues are fixed by same people. The console versions of Batman: Arkham Knight received positive reviews from critics when it was released last week, but a poor porting job rendered it unplayable for many PC gamers. 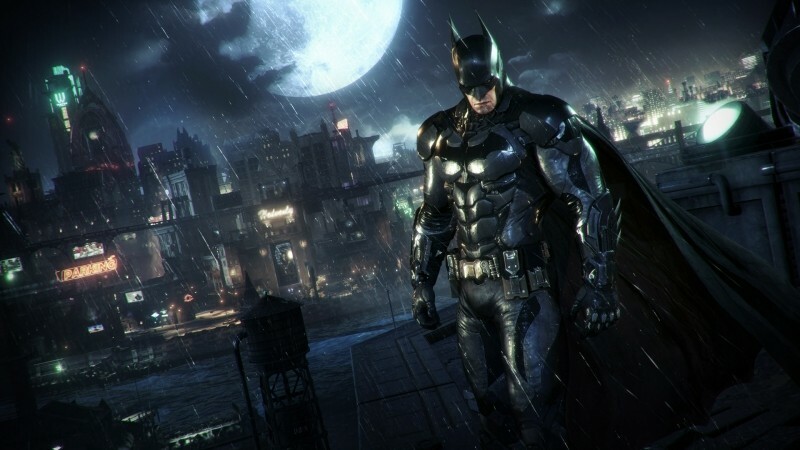 It later came to light that Rocksteady didn’t handle development of the game on PC, and that Warner Bros chose to outsource the project to Iron Galaxy Studios. With Warner Brothers giving such an ambiguous time-frame for when Batman: Arkham Knight will finally be fixed on the PC, we expect the number of people demanding a refund to continue rising. Even if the game is eventually patched to the point where it becomes an improvement over its console counterparts, it's unlikely to placate those who feel ripped-off at buying a title that was so poorly tested before launch.